Scholl Foothealth Centre's Podiatry Clinics provide general foot care, diabetes management, children's foot care and orthotics and treatment for acute foot problems. 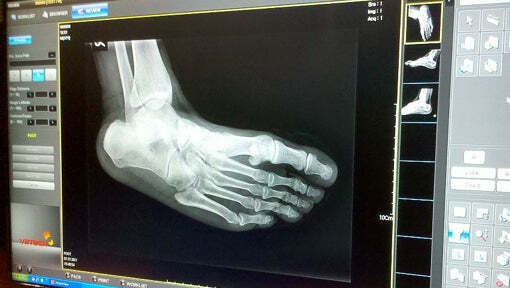 New patients attending the Podiatry Clinic are examined comprehensively by podiatry students under the direct supervision of fully qualified Podiatrists to determine your individual treatment care plan. Following initial consultation, patients may be required to return for further specialist services. We also offer evening appointments and no referral is necessary to attend this clinic.